The RTV, Inc Tour Track program has paid professional photographers around the world millions of dollars over the years. We want to make sure that you’re up to speed on the new fully integrated Fusion Tour Track. Please watch our new Fusion Tour Track Orientation video below. We’ve made other changes too! is changing the way people view virtual tours. Insight Fusion is here and you will NEVER look back! SAME GREAT SERVICE – A NEW, AMAZING PRODUCT! 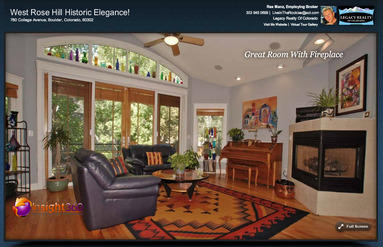 Why would you want to include a virtual tour in your home marketing efforts? Or why wouldn’t you? Nowadays, buyers don’t even look at online listings if they don’t include a virtual tour. Virtual tours take you inside the home and give you a 360-degree view. Virtual tours are made up of a series of photographs that create a 360-degree view or spin of an area, interior or exterior of a home. The photographer uses a tripod and takes 12 photographs that are put together to create a 360 panoramic image, high quality digital still images and now full motion video! Virtual Tours help sell homes locally. To sell a house, you need exposure. Gaining national exposure for your home will help those out of town who might be relocating to your area. With Virtual Tours someone out of town can get a complete picture of your home. For locals, we offer QR codes and sign riders that go on the real estate sign with a designated web address of the tour. This and much more is what our Vero Beach virtual tour company can offer you and your seller. I am officially registering to run the St. Louis Rock and Roll Half Marathon. It will no longer be me wanting to run a half marathon but me committing myself and my money to run a half-marathon. In addition to blogging about this, I am going to actually post it on Facebook and tell all my friends, family (and those people on my Friends list who I am not quite sure how I know) that I am going to run a half marathon. Wow, that makes it real!! When we originally started photographing 360 tours, we both had full time jobs and virtual tour photography looked like a great source of additional income. Greg was the Assistant Manager of Recruiting for the 2010 Census. For the first time since getting his degree in Commercial Photography, he had a job doing something other than working as a professional photographer. I was working as Assistant Director of Admissions at a therapeutic boarding school. 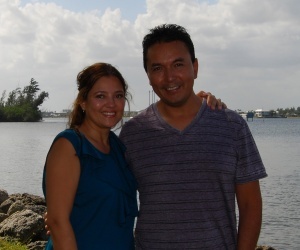 We had a comfortable income with paychecks that came in every two weeks. EVERYTHING CHANGED when we made that commitment. Hotel photography was a great IDEA when we bought the equipment for our virtual tour business a year and a half earlier but Vision Quest Virtual Tours became REAL the day I quit my job and took that leap of faith with no safety net or Plan B. Within two weeks, our virtual tour sales had replaced both of our full time salaries and there has not been a month since that our income has not been enough to live comfortably. We just hit an income milestone that would have seemed impossible when we first started. All too often people don’t recognize or verbalize the appreciation they have for the help they receive when running their virtual tour business. Today I was once again reminded of just how strong the support from RTV really is, and especially from Ben Knorr. He is extremely well prepared, and always, and I mean always, makes sure to answer, follow up and find any answer you need. He is always very pleasant to talk with and one of the most knowledgeable support people I have ever run into. I also love all of his talk shows that he does for RTV, The IMAGE.